See if you can spot the Freedom in this photograph. 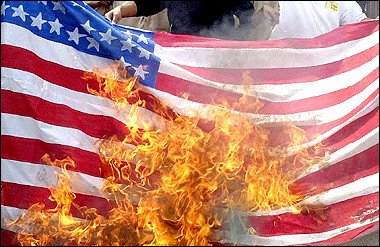 Those who claim that burning an American flag is illegal rarely cite a source for this claim. If they do, they will normally point to something like 18 USC 700, on Desecration of the flag of the United States. What they don’t seem to have noticed is that 18 USC 700 has no legal force. It hasn’t had any legal force for two and a half decades. 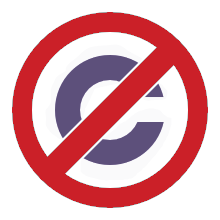 It’s still printed in copies of the U.S. code, but both that law, and any law substantially like it, were struck down as violations of free speech rights a quarter century ago in Texas v. Johnson and United States v. Eichman . This is not a new development. It’s been the case for decades. UNITED STATES v. EICHMAN (1989). In 1989, Congress passed the Flag Protection Act which made it a crime to destroy an American flag or any likeness of an American flag which may be “commonly displayed.” The law did, however, allow proper disposal of a worn or soiled flag. Several prosecutions resulted from the Act. Eichman set a flag ablaze on the steps of the U.S. Capitol while protesting the government’s domestic and foreign policy. Another prosecution (United States v. Haggerty) resulted from a flag-burning in Seattle protesting the passage of the Flag Protection Act.Both cases (Eichman’s and Haggerty’s) were argued together. But of course they don’t even exist in this case. They’re pure mythology. But myths are created and repeated because they serves a political and cultural function. There’s something worth noting in the fact that so many of the self-appointed Home Guard have a manifest felt need, that they so badly want to believe in a government that can and will use violence to punish offenses against the dignity of their national flag, even in spite of what they could have found out with two minutes’ research on the Internet. This kind of violent Patriotic Correctness is, of course, nothing more than bullying and violent censorship. A form of bullying and violent censorship where many of the bullies and the censors so desperately feel the need for government support that they will conjure non-existent laws to back up their burning desire to punch a hippie in the face. The saddest thing of all is that they will tell you that they do this because the flag means so very much, and it means so very much because it stands for freedom. That should tell you something about the kind of American Nation, and the kind of freedom, that they are so exercised to protect against the scourge of peaceful protest and free speech. Anticopyright. This was written in 2015 by Rad Geek. Feel free to reprint if you like it. This machine kills intellectual monopolists. I was me but now he’s gone.